Renato Murakami is a photographer and tinkerer from Brazil, you can follow his blog here and interact with him on twitter here. This article is based on an article published here and shared with permission. … Or you can just use Crashplan. Yes, I know, it has a monthy/yearly fee for the cloud backup, but there is no easier way to handle a complete backup solution. What you suggest seems very complicated, and relies on you “nickel-and-diming” various online cloud services where you can store a couple GB here, and a couple of GB there, carefully juggling what goes where. I myself have close to a terabyte of just personal photos/videos. Many people will have more. Working professionals will have far more. And if your solution does not back up all of it to an off-site location, then it is a risky solution. I realize that many people think that services where you have to pay a monthly fee for unlimited (or large) is costing way too much, I certainly sleep far easier now. Yep. I know about Crashplan and other services (like Amazon Glacier and others mentioned) and I’d recommend using them for pros as a simple backup solution, if you have simple backup needs. Heck, for some it’s just better to pay for the cloud storage services they are already using, nothing wrong with that. But like I said, this is my setup. And it’s built with different things in mind. Local management and custom setup is one of the things. Since I don’t use, I’m not sure how far goes Crashplan customization, but a local NAS allows for a mix of local storage, cloud storage, different sync types between machines, account management, among others. 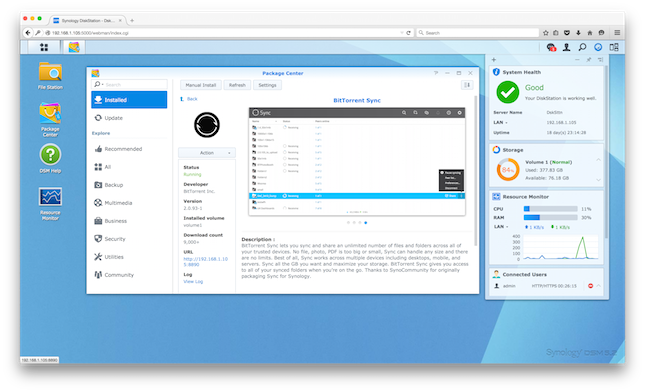 Synology’s OS also allows for a bunch of other things, so I guess the most advantage you can get is if you use those somehow. Special cases like the Desktop sync among other stuff I’ve been planning to do is also part of the objective. I’m still learning and doing some research, but the idea is to host a bunch of stuff locally, have content access directly over Internet, stream videos, have tight access controls, etc. Other points: privacy, connectivity, and not “putting everything inside one box”. I know services like Crashplan and Amazon Glacier are very reputable and it’s unlikely that some big problem happens. Still, I guess some people will just feel better if at last part of their content is in their own hands. You also still have a level of backup here even if Internet connection is down. But to clarify once again: I’m far from saying that my solution is the best for everyone. It’s a balance between safety, price and features. The objective of the post was to present a possible solution for those looking for something different. There are some scenarios where simple Crashplan/etc accounts are not enough to attend some demanding tasks because it’s just backup for prevention of failure/disaster scenarios. For instance: video editing groups that have a team of people with different access levels to content needing a distributed backup and update solution. An ideal solution would be if there was Crashplan support on a NAS device like yours. (or other large backup service) And it’s not just storage space – Crashplan will for example store versions of data, allowing you to get back to a version of an image that modified a while back. …Because that is my main reservation with your approach, that it emphasizes mirroring/sharing data versus a complete off-site backup. But different approaches work best for different people. Thanks for your reply! Hello, main problem with your setup is that cloud storage services are not backups. If you accidentally delete or damage your files (which may easily happen due to human mistake or software or hardware error), such change will be distributed accross all storages and you will not be able to recover uncorrupted version. Some cloud storages keeps previous versions or deleted files, but only for limited time (about 1 month typically) and up to storage capacity. 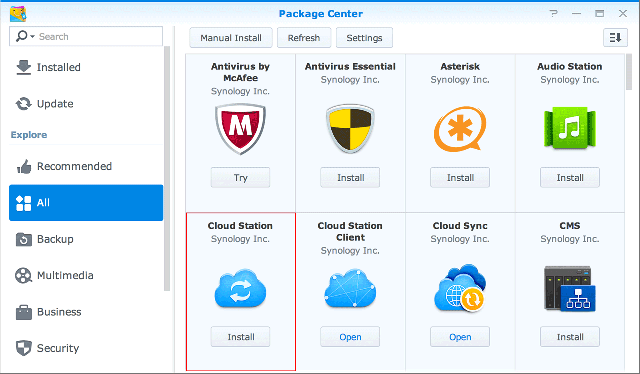 Synology Cloud Station keeps 32 versions of file which may not be enough for files like PSD edited in Photoshop. Reliable backup definitely has to keep much longer history of changes and file deletion (unlimited preferably), because you never know how long it’ll takes you to notice a problem. And this is the reason why specialized backup services (like CrashPlan mentioned in other comments) are better solution. BTW, CrashPlan can be installed on Synology via community package, but unfortunatelly, it is not supported by Code42 due the hardware limitation of NAS and even if I use it this way, I have to say that it’s little bit hard to install and maintain and there are memory consumption related issues (because CrashPlan is written in Java – I hope that native applications will be released one day). 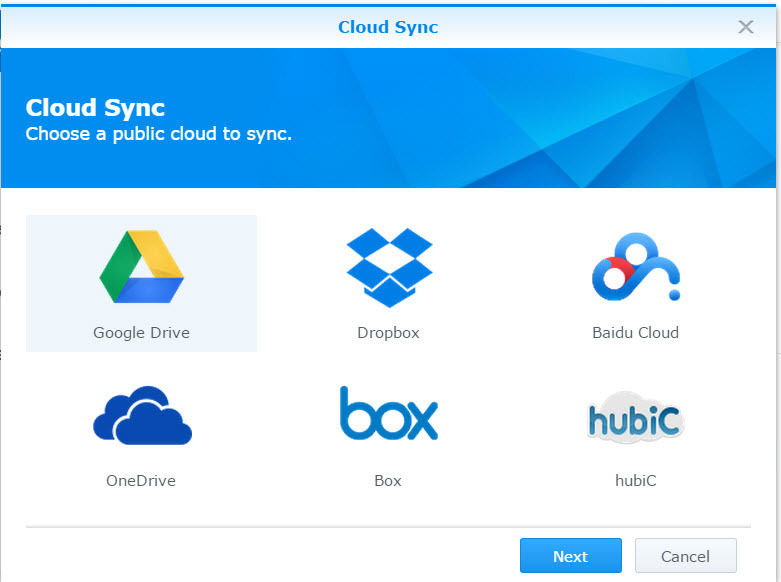 What do you think about “nesting” cloud service folders inside each other to keep copies in all of them. If OneDrive has 30GB, Google Drive 5GB and Dropbox 3GB, I would create such tree going from larger storage to smaller storage space. Most critical and small sized files are in Dropbox and all those are also mirrored in Google Drive and OndeDrive. Less important things are in Google Drive other folders and so on.